Nagorno-Karabakh and seven adjacent regions are internationally recognised territories of Azerbaijan but have been occupied by Armenia following a 1988-94 war that claimed an estimated 30,000 lives and displaced hundreds of thousands of people. A ceasefire was called in 1994, but decades of internationally mediated negotiations with the involvement of the OSCE’s Minsk Group have failed to result in a resolution. The Minsk Group is co-chaired by France, Russia, and the United States. “The co-chairs from Russia, the US and France work closely together. They have already met with the leaders of Armenia and Azerbaijan, and new contacts are being prepared with foreign ministers,” Russian Foreign Minister Sergey Lavrov told a joint press conference with the OSCE Chairman-in-Office, Slovak Foreign Minister Miroslav Lajčák. He also said that the OSCE Minsk Group co-chairs can only help create conditions for dialogue on the Nagorno-Karabakh conflict, Azeri agency Trend reported on Tuesday (19 February). Russia is officially the military and political ally of Armenia, member of the Moscow-led Eurasian Economic Union. Oil- and gas-rich Azerbaijan has no affiliations and tries to have balanced relations with all major geopolitical players. “Considering that the new government in Armenia has been formed quite recently, it will certainly take some extra time to understand how intensively and how deeply the settlement process can be developed at this stage. 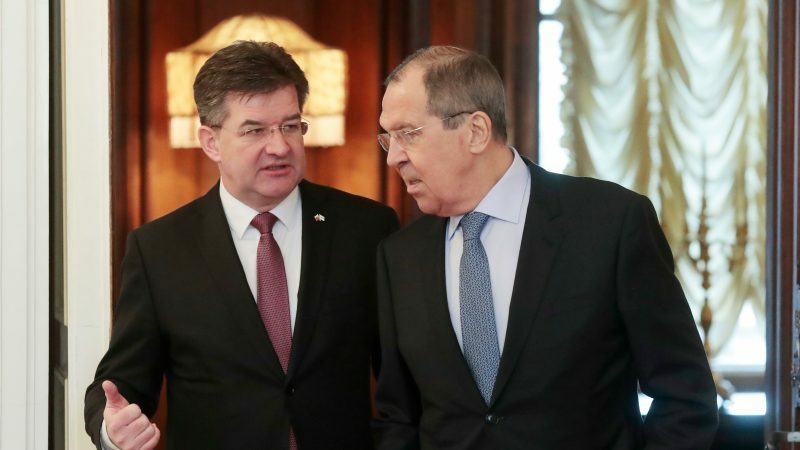 I repeat, once again: the co-chairs and the OSCE can only help create conditions for dialogue, but decisions, of course, must be made within the dialogue, within the direct negotiations between the parties,” Lavrov said. Since Nikol Pashinyan became prime minister of Armenia, a thaw in relations between the two countries, which are technically at war, has become visible. Armenian media reported that Lajčák will visit the Karabakh conflict zone and was quoted as saying that the visit is scheduled for early March. Before that, Lajčák will visit the two countries’ capitals: Baku and Yerevan. “Slovakia supports the existing framework for resolving the issue. We fully support the OSCE Minsk Group Co-Chairs,” Lajčák said. Last week, the vice-speaker of the Azerbaijani parliament, Bahar Muradova, said that “a certain revival” had been observed in the negotiation process on the settlement of the conflict at the end of 2018, as well as this year. But Muradova warned against “attempts by some external forces to increase their efforts in a completely different direction”. “Even those who claim the opposite see this obvious fact,” she said. “However, the task of some external forces is to change the agenda in order to distract us from our most important goal,” she said. Armenian press reported that on 18 February, at the invitation of “Minister of Foreign Affairs of the Republic of South Ossetia” Dmitry Medoyev, a delegation of “the Republic of Artsakh” (occupied Nagorno-Karabakh), headed by Foreign Minister Masis Mayilian, arrived in the Republic of South Ossetia on a working visit. South Ossetia is a Georgian territory that remained occupied, together with Abkhazia, by Russia, following a short Russia-Georgia war in 2008. The list of countries recognising Abkhazia and South Ossetia is very short and mostly includes friends of Moscow, such as Venezuela, Nicaragua and Syria. Moscow has created several “frozen conflicts” with the objective of being able to keep its influence in former Soviet republics. Nagorno Karabakh and surrounded districts are recognized part of Azerbaijan Republic. So separatist regme’s “delegations’ visits are useless and illegal. Beceuse nobody recognizes separatist regime. 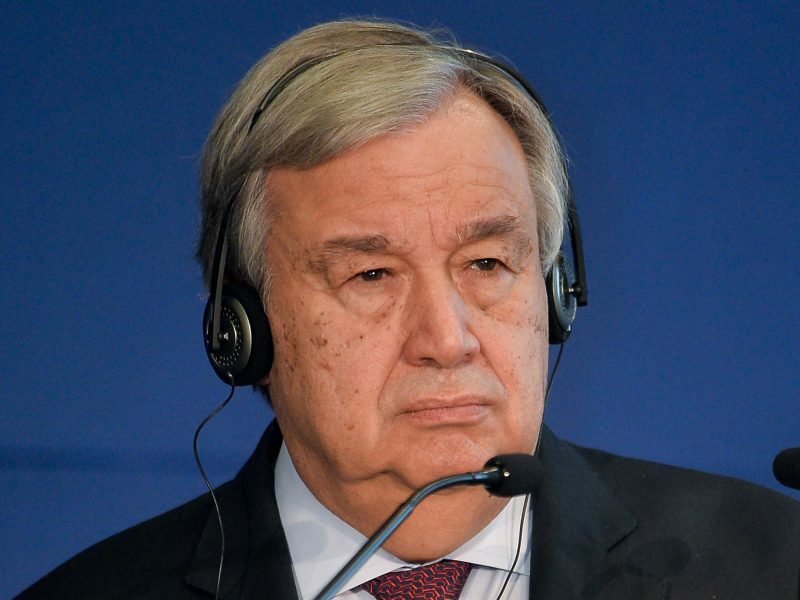 Armenia has to to follow international law especially 4 resolutions of UN Security Council. Nagorno-Karabakh was historically and always the territory of Azerbaijan. Armenia occupied those territories. And it brazenly claims that Karabakh is Armenia. This is a lie. The problem is that the mediators demonstrate equal attitude for both Armenia and Azerbaijan, which is a wrong position. You can’t talk with the same tone with the aggressor – Armenia and the victim – Azerbaijan. Armenia must be pressured to follow demands of resolutions of international organisations. #madridprinciples I guess Armenia agreed de-occupation 5 regions of Azerbaijan. If it is so it is really big progress in terms of peace resolution. Occupied territories will be liberated and returned to Azerbaijan anyways. Questionable is the matter of restoration of social justice for Azerbaijani people who suffered all these years. I eager for the court proceedings over the leaders of mass civilian killings in Karabakh, and the first is ex-president of Armenia Serzh Sarkisian.